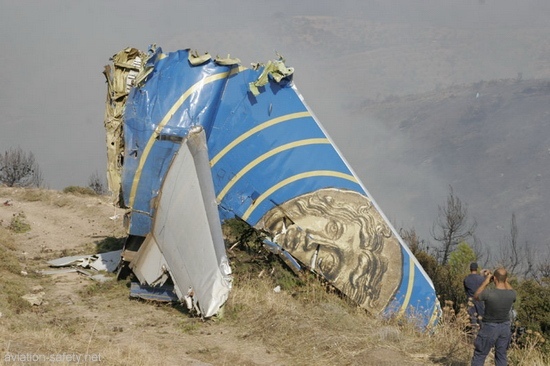 Five defendants, accused of manslaughter in connection with the fatal Helios Airways Boeing 737 accident 2005 have been acquitted by a Court in Cyprus. The Helios airplane crashed in Greece after all 121 aboard had become unconscious because the cabin had not pressurized. It was being argued that the defendants in the case did not prevent the aircraft to be flown by a captain and a co pilot who were described as inadequate or unsuitable, which resulted in an unsafe flight. The defendants were Helios’ chief executive, the managing director, the operations manager, the chief pilot and Helios Airways itself as a legal entity. A total of 238 charges were made to each of the defendants. “The fundamental link that connects the chain (of events) is missing, the connection between alleged negligence by the accused with the crash is also missing. Consequently, we conclude that there is no proof that the accused have violated any of their duties and/or that the violation of their duties was the cause of the damage,” the court ruling said as quoted by the Famagusta Gazette. Source: Famagusta Gazette, Cyprus Mail. You are currently browsing the archives for the Accident Criminalization category.